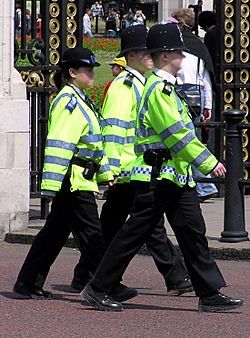 British police officers in London. Officer Facts for Kids. Kiddle Encyclopedia.